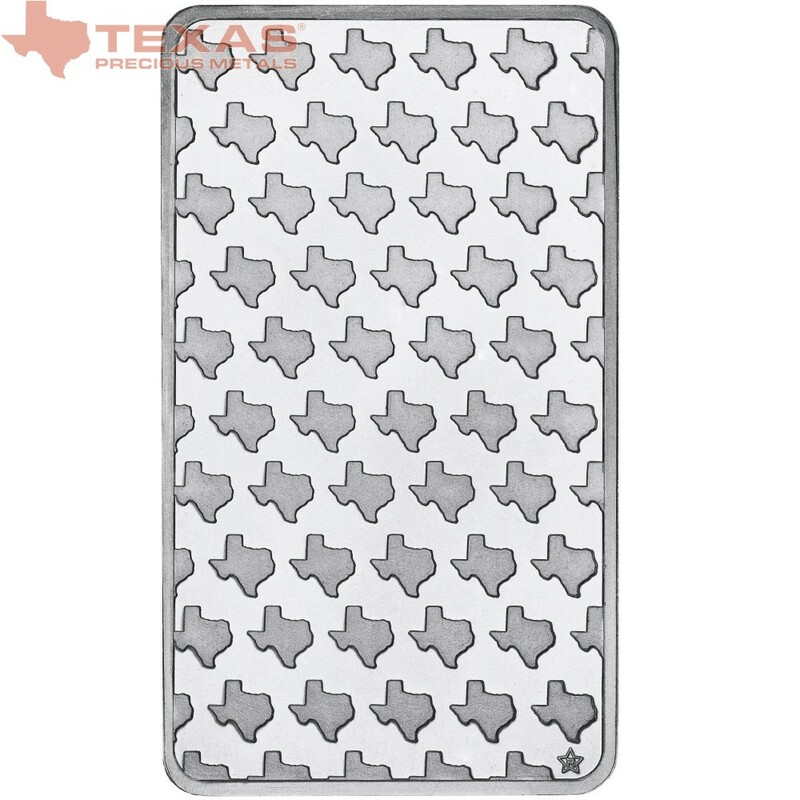 Texas Precious Metals celebrates the Lone Star State with their 10-ounce Texas Silver Bar. 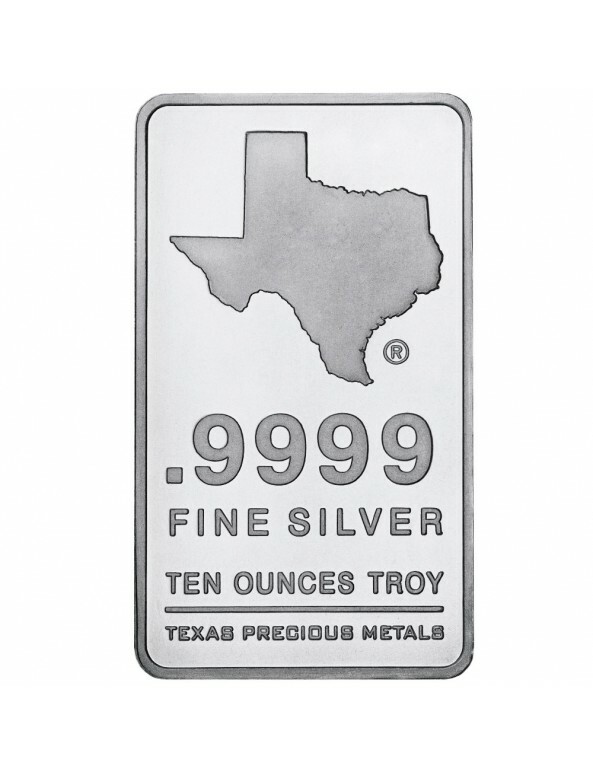 In partnership with the Regency Mint, TPM produces the Texas Silver Bar out of 10 troy ounces of .9999 fine silver. Packaged in a plastic case and shipped in sheets of 10 to avoid oxidation and scratching, the bar measures 88.9 mm x 50.8 mm x 6.35 mm. 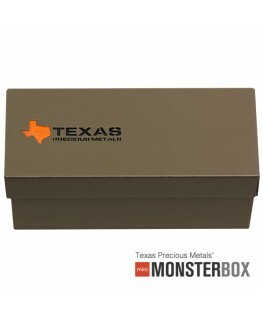 Both the weight and the purity of the Texas Silver Bar are guaranteed by Texas Precious Metals. 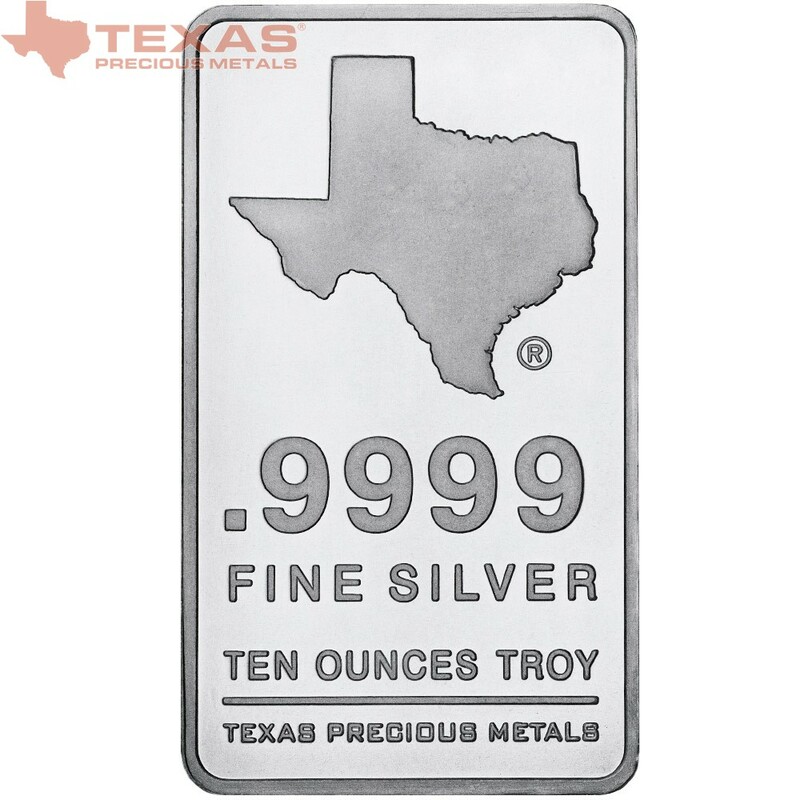 The obverse of the bar features the iconic geographic shape of the state of Texas, a symbol trademarked by TPM as indicated by the circled “R” mark stamped next to the image. 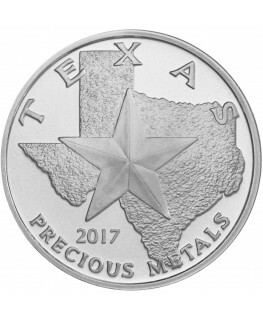 Details regarding weight and purity are included below the image, and a line separates these specifications from the acknowledgement of Texas Precious Metals at the bottom. A shaded border frames the edges of the rectangular bar to complete the simple but powerful image. 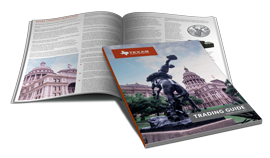 The easily recognizable and timeless Texas image – combined with the overall crisp, minimalist design – provides a desirable aesthetic combination for collectors. 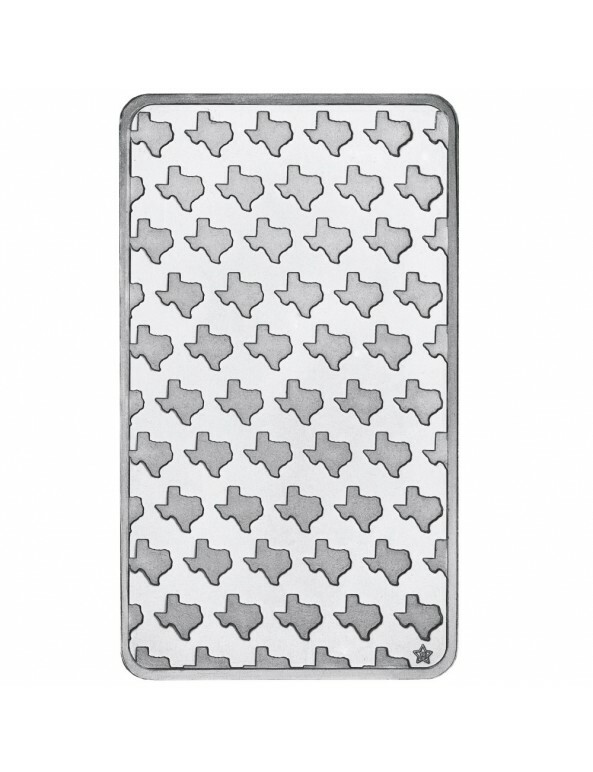 On the bar’s reverse, subtle silhouettes of the state of Texas are arranged in slanted rows – roughly 50 full-size icons in total – to form a pattern that is emblematic of its Texas Silver Bar title. 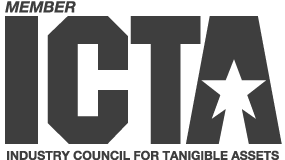 A small symbol of the letter “R” embedded inside an outlined star sits in the bottom right of the reverse to denote that the bar was manufactured by Regency Mint. 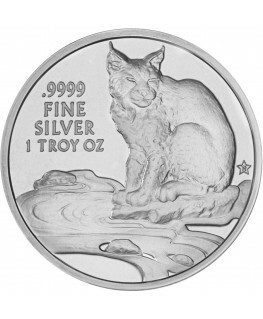 As seen on the obverse, the reverse is offset with a uniform shaded border and lustrous finish throughout. 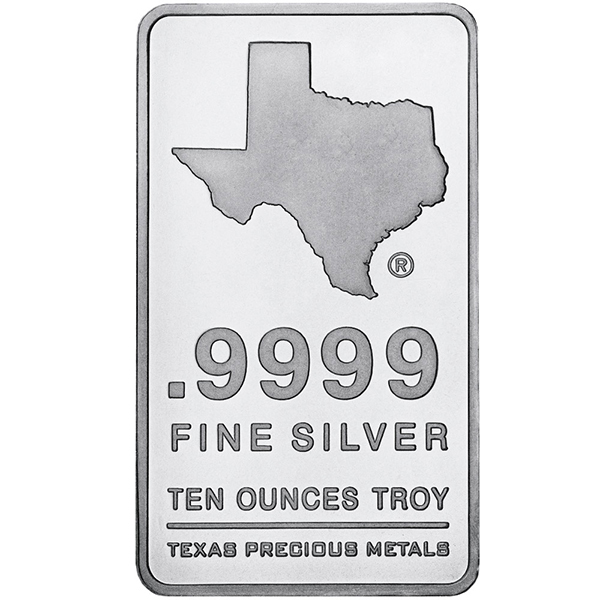 The IRA-eligible silver bars are minted in an ISO-9000 certified facility and currently accepted by CNT Depository and DDSC (Delaware Depository) for IRA clients. 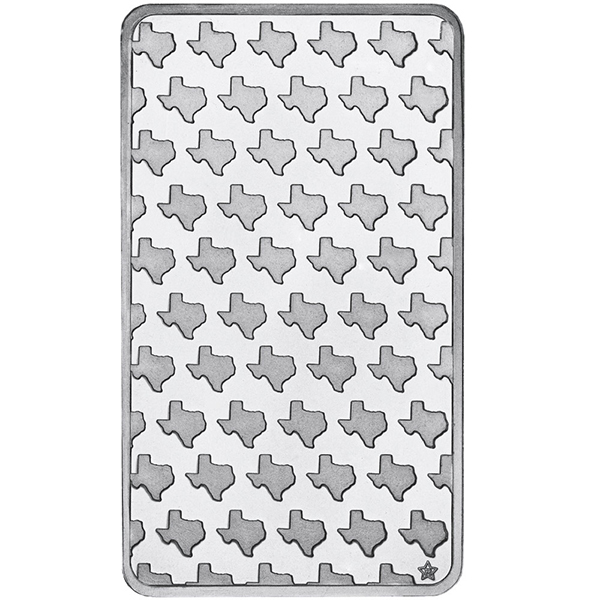 The 10-ounce Texas Silver Bar measures 88.9 mm x 50.8 mm x 6.35 mm.